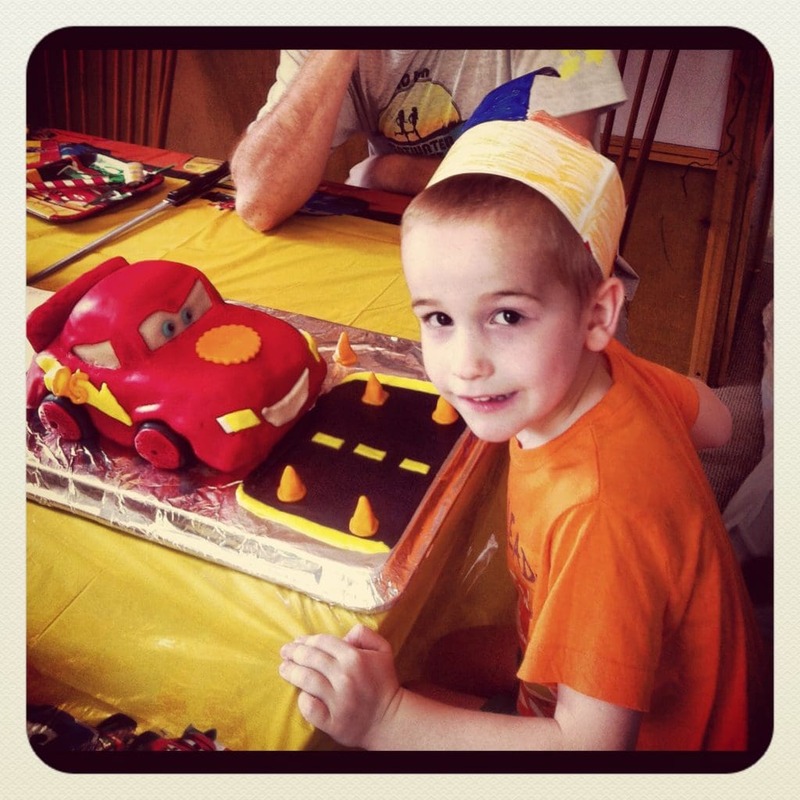 Lightening McQueen cake for my sweet little boy. No problem! I’m not very good at following directions, but loosely followed the instructions here. I made a double batch of chocolate sheet cake to account for any mistakes shaping, and a single batch of chocolate frosting. Peg Weaver’s homemade marshmallow fondant recipe is always flawless and fun. He’s going to be talking about this cake for a long, long time. 1.) Preheat oven to 350. Prepare your 9 x 13 cake pan.Fold a sheet of parchment so it lays crosswise into the pan and hangs up over the edges (this way you can ‘lift’ the cake out of the pan by the paper to the cooling rack) . Spray well with cooking spray. 2.) In a large bowl, whisk together the flour, cocoa powder, soda, baking powder and salt. My cocoa and baking soda are always lumpy, so I sift mine into the bowl through a mesh strainer to get out the lumps. 3.) Whisk dairy-free milk of your choice and vinegar together in a medium bowl and let thicken. Then add the sugar, oil and vanilla. Mix well. 4.) Carefully dump and mix the wet ingredients into the dry ingredients. Just blend until most of the lumps are out. Don’t beat the heck out of it. 5.) Pour batter into your prepared pan and bake for 20-25 minutes or until the center is set and you can poke a knife into the center and it comes out clean. Let the cake rest for a few minutes before lifting out and cooling on a rack. Cool completely before frosting. You’ll have extra, so don’t hesitate to take a few spoonfuls while baking. 1/8 teaspoon of salt, or a couple pinches. 1.) Cream the margarine and shortening until fluffy. 2.) Add the salt and cocoa powder. 3.) Add the powdered sugar slowly. You can add a little of the soymilk as you are trying to mix in all the powdered sugar if things get too thick. 4.) Once all the powdered sugar is mixed in, you can start adding soymilk until you get the frosting thickness you want. Sometimes I like it dense, sometimes I like it fluffy and mousse-like. Ice cream? “White with banana flavor and strawberries” We will run by the strawberry farm tomorrow, after we pick up a package of marshmallows. Wow, thank you so much for posting this! It is exactly what I was looking for, and it has helped me so much!! Thank you for providing the links to the fondant and directions as well. My FA son is going to be 3 at the end of the month and this will be my first attempt at baking custom cake for him 🙂 He requested a cars cake! So, it’s perfect! Also, I forgot to ask… where do you purchase your safe food coloring at? I found one but it is made along side of eggs and nuts, so it was out of the question. I’m specifically having a hard time tracking black food coloring down. Hi Crystal! I use Wilton Gel Food Coloring, for the red color make absolutely sure you get the “no taste red”. You use a TON of red (like, half a jar! ), and red food gel tastes horribly bitter unless you get the no-taste variety. Give yourself plenty of time to make the cake if it’s your first time with fondant. You can make the fondant a week in advance, easily. The cake itself holds up very well once it’s made and covered in fondant, the fondant seals in the cake nicely. Make all the parts during the day, then assemble at night when little people are sleeping…so you can chill out to some good tunes and have fun playing. LOVE the photo Crystal. Boys, chocolate and FIRE. Great combination! Hi, I saw your comment above about using Wilton gel food coloring. I’m confused because all of the Wilton gel colors I can find say they’re made in a facility with eggs and nuts, which we cannot have. I would love to not end up with a pink Lightning McQueen cake! Am I missing something? Any help would be appreciated! Thanks again! Hi Maria! For some reason, none of my Wilton gel food colors have an allergen warning on them. Perhaps something has changed, or maybe it’s just the lawyers causing trouble. Betty Crocker has gel food colorings, which should be available in grocery stores. Americolor and Ateco also have some, which would probably be an order through Amazon, not sure about the allergens on them though. I’ll look into all of your suggestions. Thanks for all of your help! Curious to know if I can make this cake as cupcakes? Have you ever tried? Do they hold up? 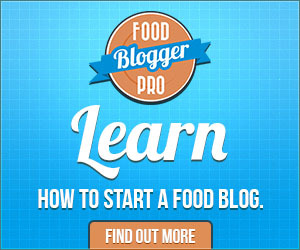 A lot of egg free, dairy free recipes fall in perhaps because they do t have enough leavening? I’d love to try this for my daughter’s birthday next week. Thanks! Andrea, these make fantastic cupcakes! This is the same recipe I used for a “Hostess” cupcake I made a while back. As written in this Lightening McQueen post, you’ll get about 24 cupcakes.